Environmental Team Leader Ray Balentine ran with more than 100 Mississippi Department of Transportation employees to raise money for the Blair E. Batson Children's Hospital in Jackson, Mississippi. 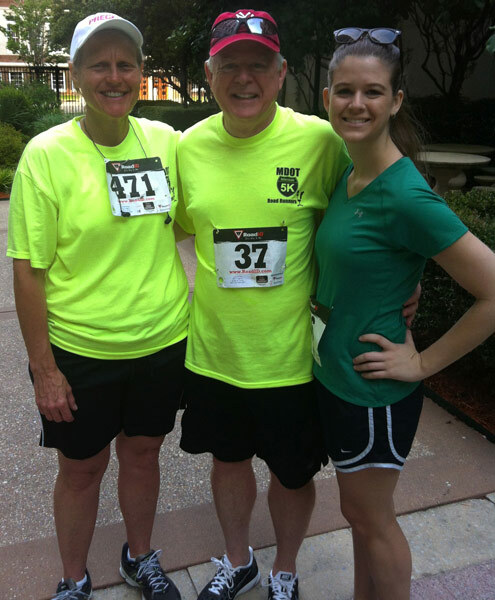 Accompanied by his daughter, Ray joined 800 participants in the inaugural Governor Phil Bryant's 5k Run for Health. Before joining Garver, Ray worked with MDOT for 25 years as an assistant roadway design division engineer, state planning engineer, and director of intermodal planning. During a recent visit with MDOT Executive Director Melinda McGrath, she told Ray that she was training for the 5k. "I mentioned that my daughter has been running in 5ks and was trying to get me to join her," Ray said. "Melinda took that and invited me to participated with the MDOT group—and long story short, I did!" The event raised $10,000 for the state's only hospital exclusively dedicated to treating and caring for sick and injured children. More than 150,000 children are treated by the hospital every year.